The Augsburg Symphony Orchestra will travel to Florida over semester break for two concert performances. On Jan. 8, the orchestra will perform in Ft. Myers Beach, Fla., at 4 p.m., at Times Square. 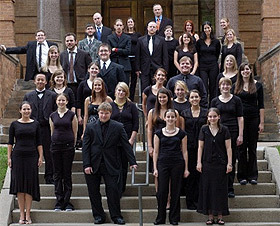 On Jan. 10, they will perform in Naples, Fla., at 7 p.m., at Shepherd of the Glades Lutheran Church. The 50-member orchestra will play a selection of music by Ludwig van Beethoven, Johan Halvorsen, Peter Warlock, and Johann Strauss Jr.
For information about the two performances, call the Music Department, at 612-330-1265.